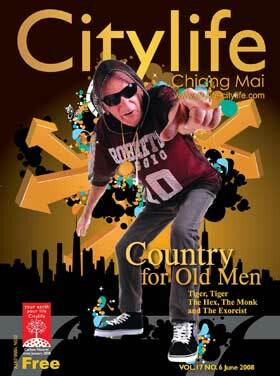 A truly excellent magazine about ‘all things’ Chiang Mai; and you know what? No, no, no; not only the on-line version, but the actual magazine is, FREE! Another Plus, is the ‘Back Issue’ go all the way back to February 2002. Yeah, but are the articles any good? I think they’re damn good! Benny Moafi has been a free man now for just nine months. He spent nine years, eight months, and two weeks in various Thai prisons for a crime he says he didn’t commit. He has an overwhelmingly large stock of evidence to prove his innocence and wrongful incarceration, all supported by lawyers, international human rights groups, and a faction of the Thai DSI (Department of Special Investigations). He has filed 207 legal cases and over 1,200 complaints against lawyers, the Royal Thai Police and the Department of Corrections, some of which he won, while others are pending, and he says he won’t stop until he has received justice and the perpetrators of his conviction have been exposed and charged. note: His story from here, belive it or not, becomes even MORE HORRIFIC. A popular saying in the U.S. is, ‘don’t do the crime, if you can’t do the time’. In the developing world, like what happen to Mr. Moafi, you might end up doing the time, even IF . . .